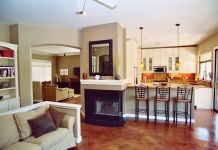 One way to add instant freshness, color and texture to any room in your home is to add flower arrangements. 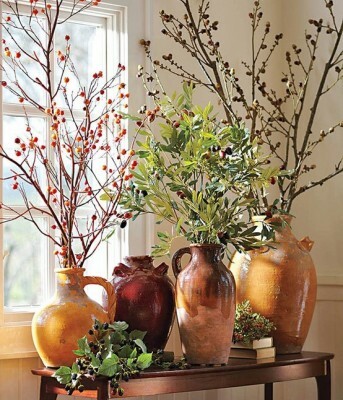 Not only can you use fresh flowers, but incorporating other items from nature such as branches, pine cones, leaves and grasses can make for an attractive display. 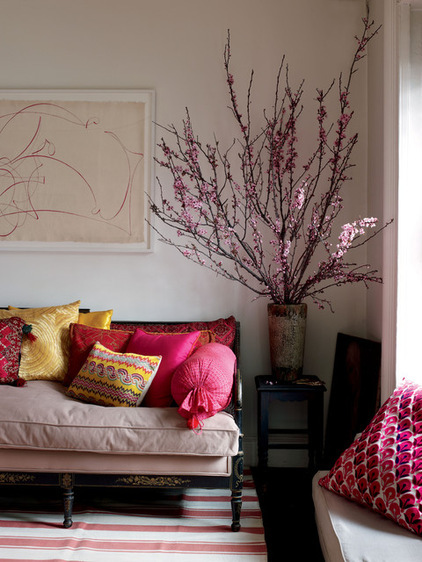 There’s nothing quite like fresh flowers to bring brightness and finesse to a room. Whether it’s just a few flowers in a simple glass vase or a bountiful arrangement full of color and various blooms, flower arrangements can be displayed alone for impact or with other objects as part of a vignette. 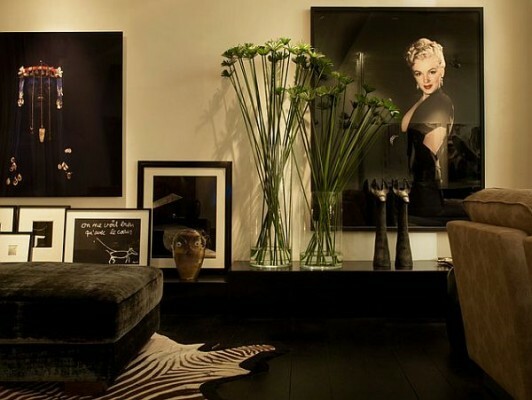 The foyer is the first impression to your home and is the perfect spot for a dramatic flower arrangement. 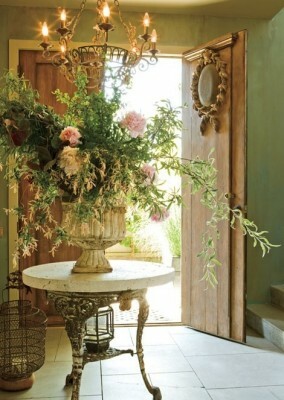 If you have the space, a grand centerpiece on a round entry table makes a welcoming statement. Placed on a console table in the entry, a unique flower arrangement gives you and your guests a colorful greeting upon entering. 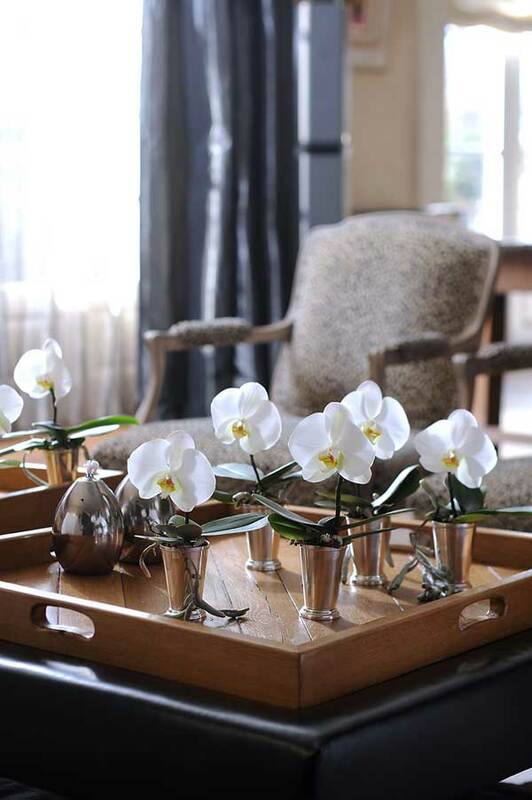 Display an arrangement in the living room on the coffee table or side table. Place a grouping of small vases of flowers on a bookshelf or table. 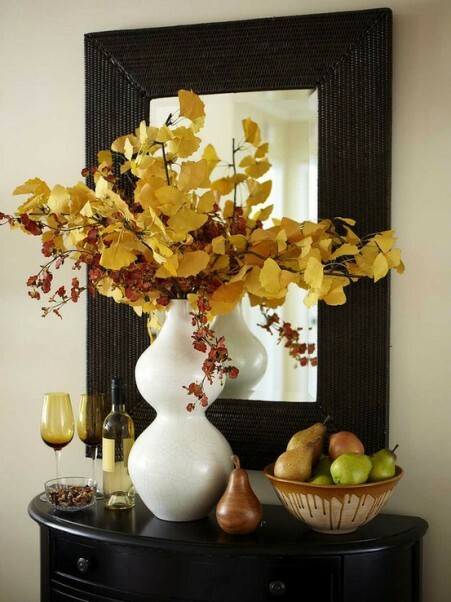 Add flourish to the mantel with a dramatic display or something simple for the more contemporary home. 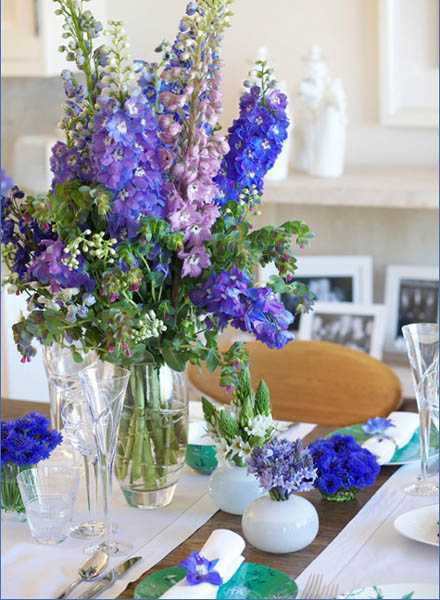 The dining room is an obvious place for flower arrangements as a centerpiece or on a buffet cabinet. 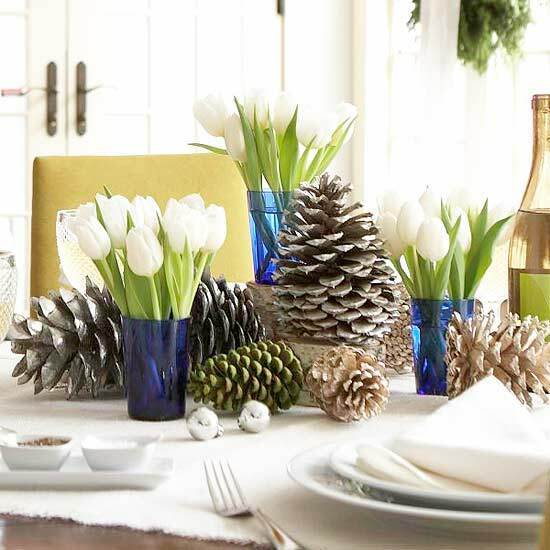 Make the arrangements stand out by adding other natural elements such as vegetables or pine cones. 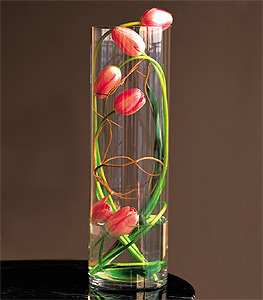 Branches create an entirely different and modern look for flower arrangements. Use flowering branches in the spring and summer, branches with colorful leaves for fall, and beautiful bare branches in the winter. 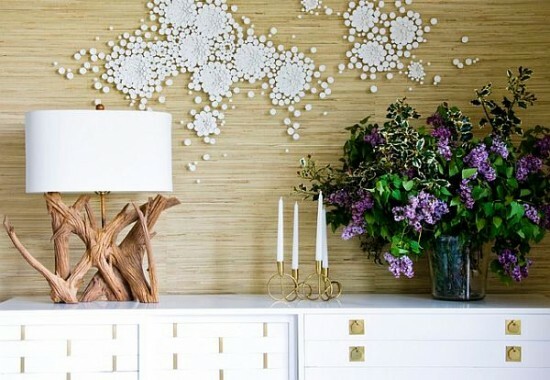 You can add feathers and other natural elements to the display for interest. 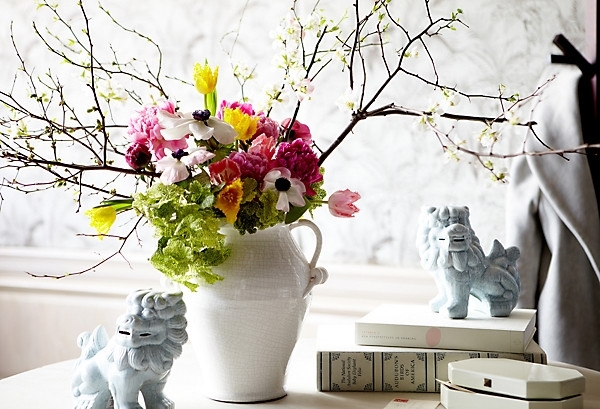 Who says a window box has to be outside? 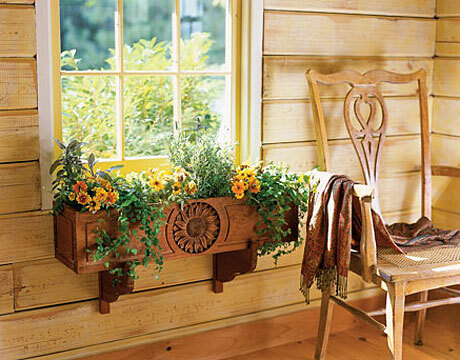 Install a window box inside and place pots of seasonal flowers in it. 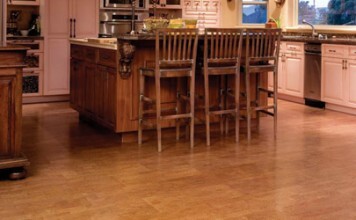 This makes a charming addition to a country kitchen. 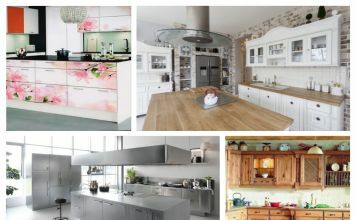 And don’t forget the kitchen when using flower arrangements. 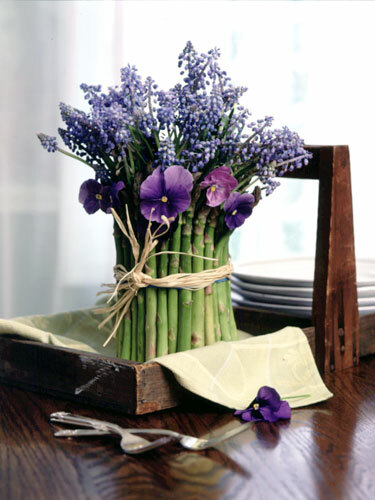 Display them on the counter or at the breakfast nook. 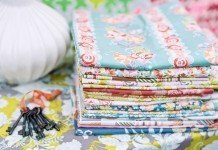 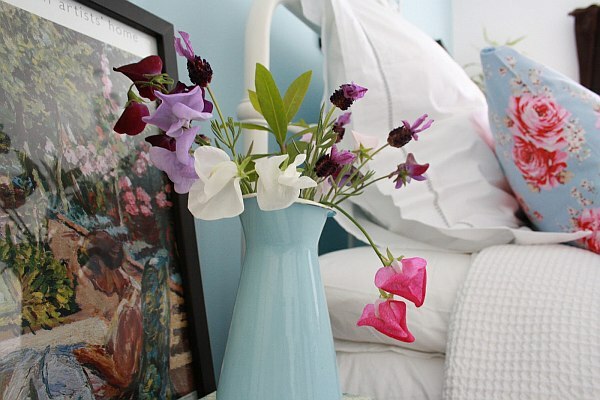 Freshen up the bedroom with a flower arrangement on nightstands or the dresser. A nice display in the guest bedroom is a must when entertaining overnight guests. 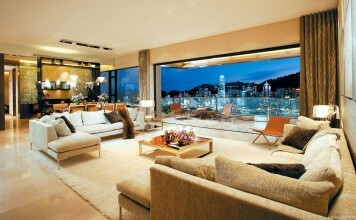 This offers a personal touch that will always be appreciated. 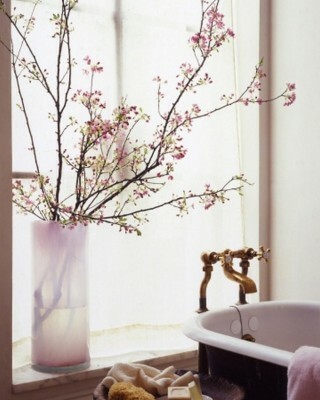 A nice flower arrangement can even be enjoyed in the bathroom. 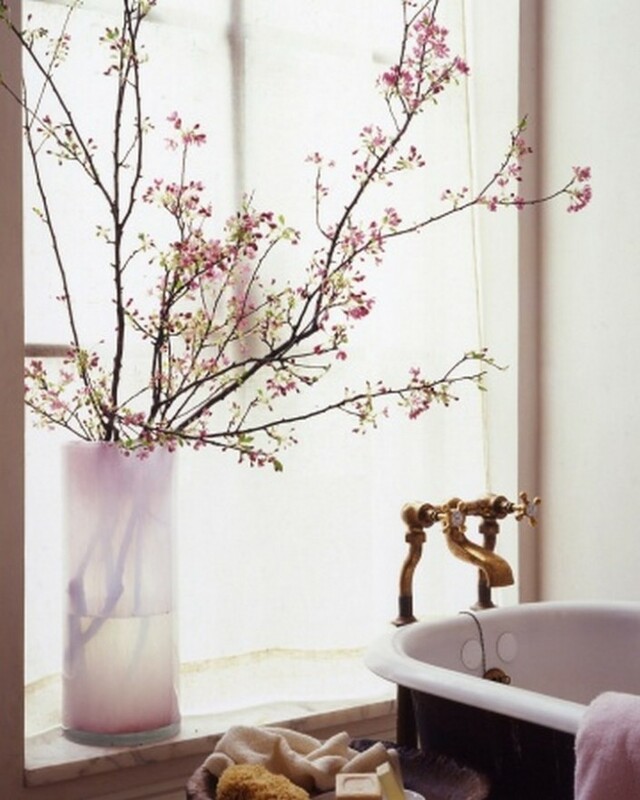 A simple arrangement can be a nice touch to help enjoy a luxurious bath. 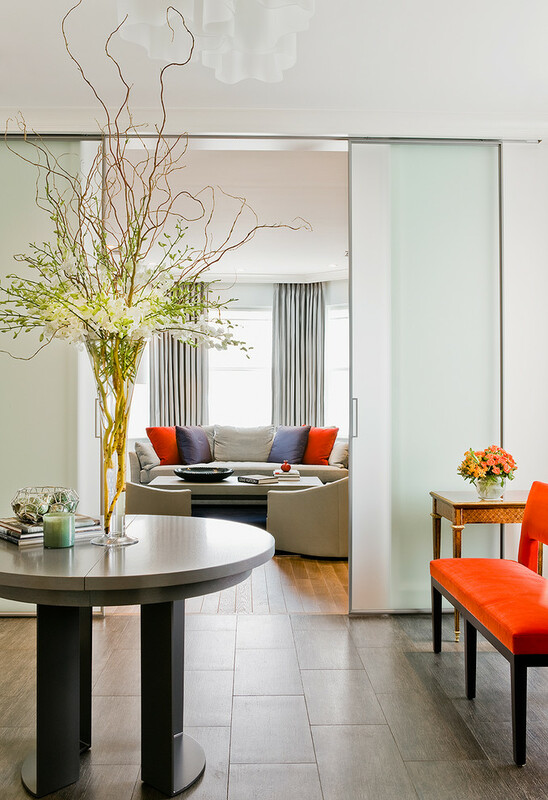 Have an arrangement in the powder room for guests to enjoy. 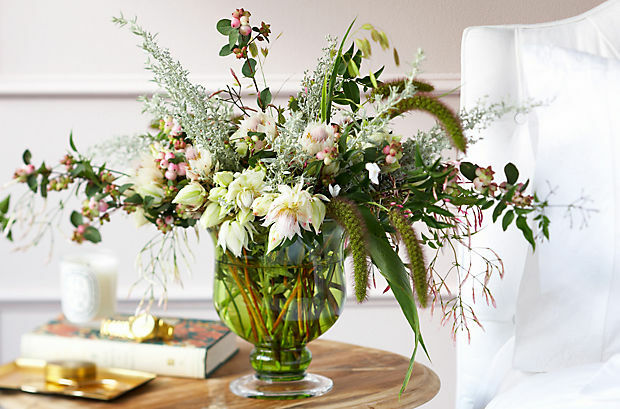 Flowers add just the right personal touch. 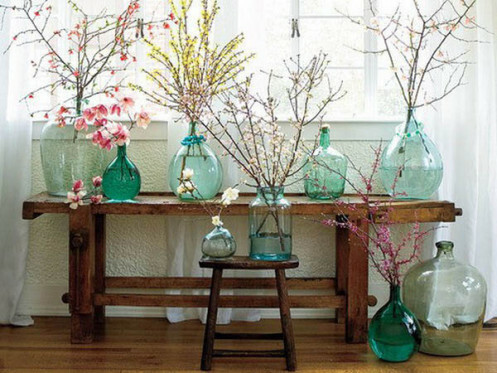 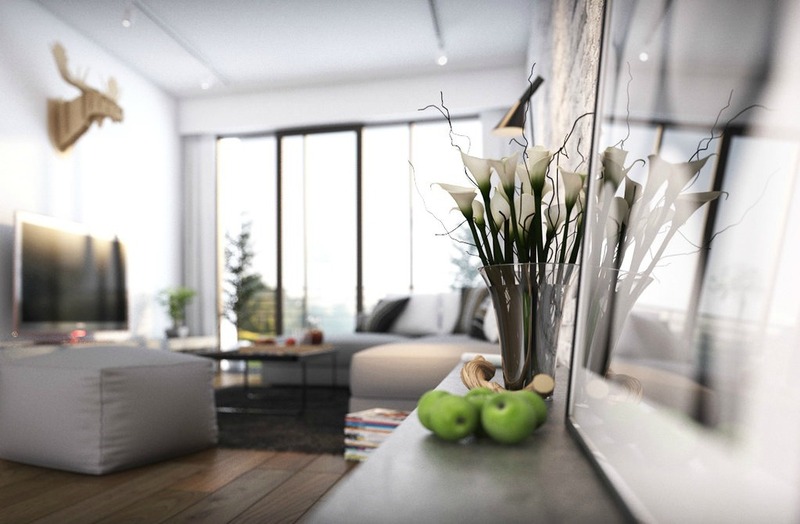 Adding flower arrangements to your home brings the outdoors in and gives rooms a boost. 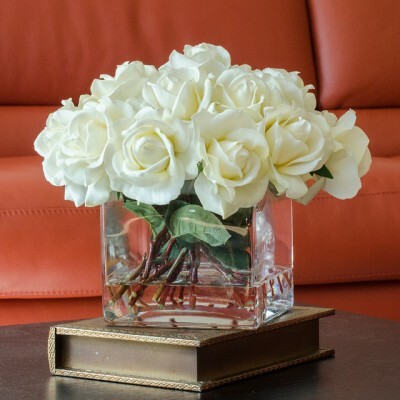 Not only are they rich in color and sometimes fragrance, flowers and natural arrangements add a unique personal touch to any room. 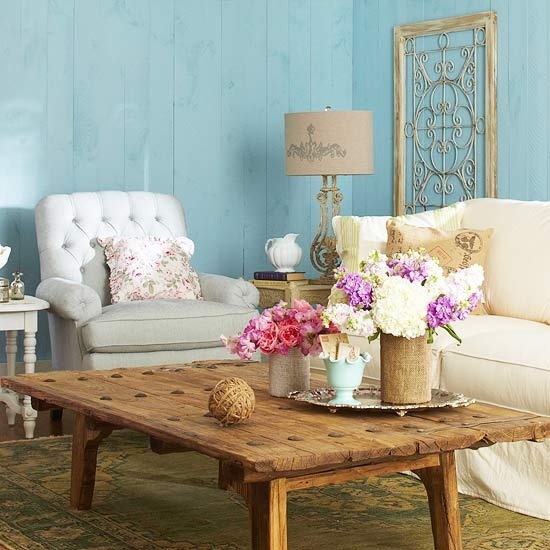 Perk up your rooms with a touch of nature.